The Property Information Questionnaire (PIQ) has been announced as one of the next steps in progressing the Home Information Pack which will add further information and benefits to the existing HIP. 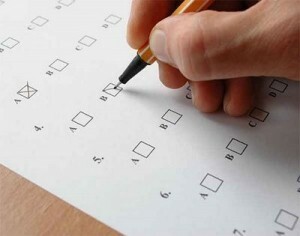 the inclusion of the Property Information Questionnaire (PIQ) in the HIP (Part 2). We will be considering and formulating our views on the questions within the paper over the coming weeks. HIP-Consultant.co.uk are interested in your views and welcome comments based on this consultation. The Property Information Questionnaire (PIQ) is anticipated to be of a similar nature to the exisiting Home Use Form (H.U.F.). The Home Use Form (H.U.F.) is currently an ‘authorised’ document though is rarely seen within Home Information Packs due to it not being compulsory. The new Property Information Questionnaire (PIQ) will be mandatory and planned to be easily completed by the home seller; not requiring help from a professional. Within the consultation a draft Property Information Questionnaire (PIQ) has been produced. Do you agree that the inclusion of a PIQ in the HIP would be a positive step in enhancing the information provided to the consumer? Do you feel the questions asked in the PIQ are the right ones? The PIQ is not intended to replace the work of conveyancers and other property professionals, which will continue to be required as the transaction is finalised. Instead it is intended that it will provide prospective buyers with a simple summary of information to help inform their decision to buy. From initial reading it seems to be in a easy, user friendly format and that most questions will be answered relatively easily if the right documentation is to hand. The HIP has been criticised at times for not providing useful information to prospective home buyers. The Property Information Questionnaire (PIQ) certainly displays the potential to provide information that would be of great interest to someone seriously considering an offer on a property and therefore welcomed. The consultation closes on the 30th September 2008 with planned commencement of the new arrangements on 1st January 2009. We look forward to your thoughts and comments. UPDATE : Please visit this article on the Property Information Questionnaire (PIQ) as arrangements have been modified and the final version has been produced. The PIQ is an attempt to get the failed Home Use Form back on the agenda. Most of the information in it can be included in the estate agent’s particulars. The rest is either unnecessary or irrelevant. We do not need the government to tell us, the people of England and Wales, how to sell our houses. There is no need to titivate the HIP, it will be dead within the next two years. Simon it is an interesting point that it could be included within particulars, it could have been an option. However, ideally the HIP should be available with particulars via an estate agent or the home seller. The Property Information Questionnaire (PIQ) which i have included a draft copy of above is planned to be a 7 page document and am not sure whether this would of been viable to have been included within each properties particulars. I agree some of the information will be valued to varying degrees by different individuals; though alot of the areas within the Property Information Questionnaire (PIQ) will provide very useful background information and awareness of practical issues on the property being considered. I am not a great lover of the HIP and be grudged paying £400 to the solicitor i used for it. Just looked at the PIQ here for the 1st time and it would of been of great interest before i bought the house i did. Alot of the info i would have appreciated and given me a better idea of what i was getting into. I would welcome having this kind of information, hopefully its ready before i buy our next property. The information within the PIQ could be of more interest to the typical home buyer in comparison to the ‘official’ documentation currently within the Home Information Pack. Due to this one would expect the PIQ to improve levels of people requesting to see the properties HIP pack. What perhaps should be included in the PIQ, is the question: have any changes been made to the property that you are aware of since it was built and has planning permission and/or building regulations been given for these changes. Please also porovide all supporting documnets. This could be especially useful for properties with loft conversions ie. if they were done properly or not, and would get rid of the notion bedroom 4/loft room etc. I think the information will be of interest to most buyers as issues such as whether the property has flooded is becoming increasingly important. Parking issues are also key as car park wars with neighbours can affect your day to day life. That said, there could be many sellers who would like to hide those issues and may find their houses even harder to sell if they are up front about flood risk and parking problems! « Stamp duty, the answer?